Just recently, we got a word from Voyager Innovations that RCBC's AccessOne Online Banking portal is now powered by their free internet access service, SafeZone. 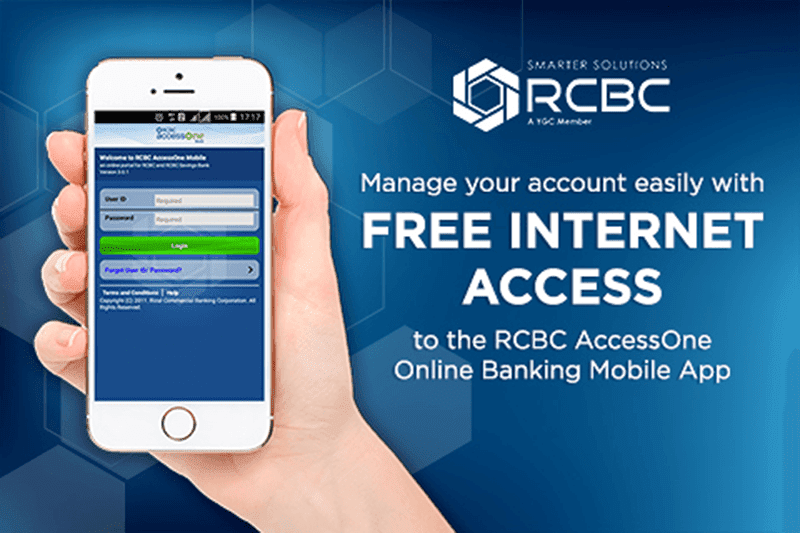 It means that users can now access RCBC's AccessOne Online Banking facility completely free of data charge when you use when accessed via SafeZone. AccessOne Online Banking makes their users access their accounts online and do banking transactions with real time viewing experience. They can check their current and available balance, do bills payment and fun transfers anytime, anywhere as long as there's internet data connection. Thru this new partnership, RCBC account holders who are subscribed to Smart, Smart Bro and Sun Cellular prepaid can ow use this tool with no data charge at all. "Our partnership with SafeZone aims to provide our clients the most convenient way to do internet banking without the worry of consuming excessive data charges. This opens the doors to more innovative banking services that are cost-effective and responsive to the ever-dynamic digital world," said Ms. Sylvia Roxas, Deputy Group Head for Digital Banking at RCBC. "We're happy to welcome RCBC AccessOne on board SafeZone. RCBC's customers can now enjoy the best of the Internet without worrying about unwanted data charges - translating to anytime, anywhere banking convenience. ” said Heidi Garayblas, Business Unit Head for SafeZone, Voyager Innovations. Overall, we think that this is a great initiative that enables RCBC customers enjoy a safe and more convenient online banking experience without the need for FREE. For more info about this initiative, visit RCBC's website now.